Pancreatic cancer is one of the most fatal cancers, with a five-year survival rate of only eight per cent. Washington: Onset of type 2 diabetes may be an early indicator of pancreatic cancer - one of the most deadliest forms of cancer, scientists say. Researchers from University of Southern California in the US found that diabetes was associated with a more than twofold higher risk of pancreatic cancer in African Americans and Latinos. This is because the vast majority of pancreatic cancer patients (some 80 per cent of them) are diagnosed at a late stage. Identification of high-risk people and ability to detect pancreatic cancer earlier would likely improve patient outcomes. Diabetes has been consistently associated with pancreatic cancer in previous studies, with a twofold higher risk of developing pancreatic cancer among diabetes patients. Diabetes has been proposed to be both a risk factor for and a consequence of pancreatic cancer. The prevalence of diabetes among pancreatic cancer patients is unusually high relative to other cancers. The majority of the diabetes patients with pancreatic cancer are diagnosed with diabetes less than three years before the cancer diagnosis. Among patients undergoing pancreaticoduodenectomies - the surgical operation often used to try to remove pancreatic tumours - over half of patients with recent-onset diabetes have no diabetes postoperatively. Researchers have observed no effect in those who have had diabetes for more than three years. They examined the association between recent-onset diabetes and pancreatic cancer in a prospective study of African Americans and Latinos, two minority populations with high diabetes risk. Questionnaires and hospital discharge files were used to identify new diabetes diagnoses. A total of 15, 833 (32.3 per cent) participants developed diabetes between 1993 and 2013. A total of 408 incident pancreatic cancer cases were identified during follow-up. During an average follow-up of 14 years, among those with diabetes, 128 participants developed pancreatic cancer. Among participants without diabetes, 280 participants developed pancreatic cancer. In pancreatic cancer with diabetes, 52.3 per cent of cases developed diabetes in the 36 months preceding the pancreatic cancer diagnosis. Recent-onset diabetes was strikingly higher among pancreatic cancer cases (16.4 per cent) compared with those with colorectal (6.7 per cent), breast (5.3 per cent), and prostate (5.5 per cent) cancer. 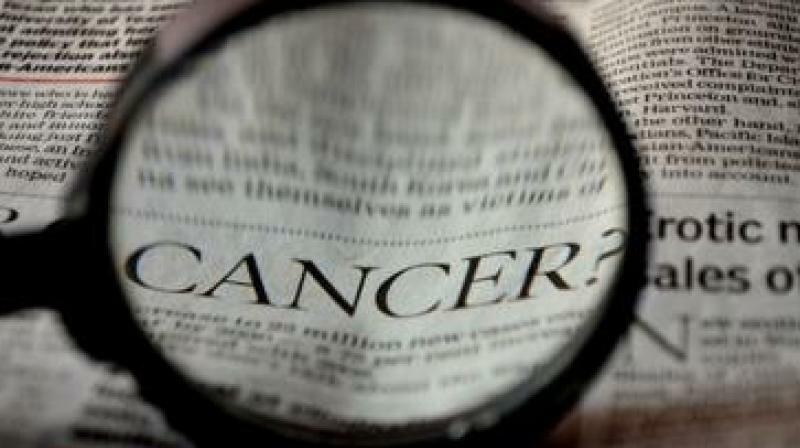 Diabetes was associated with an approximately twofold increased risk of pancreatic cancer. When stratifying by disease duration, people with recent-onset diabetes had the highest risk of developing pancreatic cancer. Importantly, the researchers demonstrated that the association of recent-onset diabetes with pancreatic cancer incidence was evident in African Americans and Latinos, two understudied minority populations with high risk of diabetes but different pancreatic cancer rates. The findings support the hypothesis that recent-onset diabetes in pancreatic cancer is a manifestation of developing pancreatic cancer. The work suggests that patients with recent-onset diabetes who go on to develop pancreatic cancer represent a high-risk population of patients who can be studied for additional risk predictors and may be targeted for development of the tests that are needed for earlier diagnosis.